Today, I am thankful for the opportunity to run my own small business. Although I still maintain a full time position at a top university, I own and run a successful summer camp that is based out of multiple college campuses throughout the state. Over a few coffees and several late nights over 3 years ago, I created a curriculum that was unlike anything else that is offered in the area – and parents LOVE it. 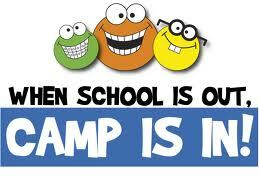 In short, our camp is based on the Renzulli triad model, which is the foundation for many gifted programs in the US. I loved the program when I was in ALPS (read about that HERE). Instead of just attempting to attract just the gifted and talented youth to my summer program, I wanted to offer our camp in a way that made it accessible and engaging for students of all academic and social levels. With our dynamic staff we are able to help children overcome fears, build self esteem, and discover their hidden creative potential. Our camp has been a huge hit for the last 2 years and were able to make a profit each summer. Although I haven’t made enough to quit my job, it has allowed my wife to become a stay at home mom for the last 2+ years, cover a portion of our bills, and help to secure our long term financial future. I am thankful for my business partner/CFO that keeps our finances in order, my staff that works 12+ hour days during the summer, and for the families that trust us with their most valuable possession.